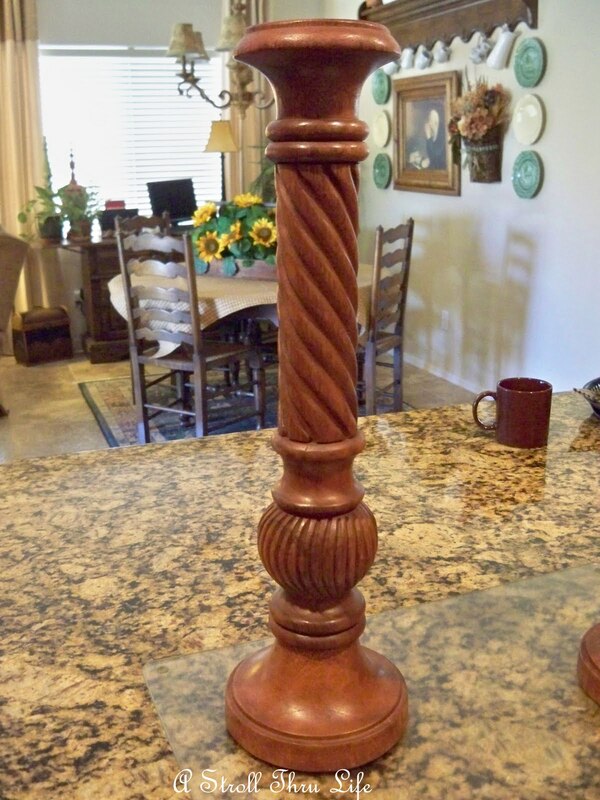 As I was cleaning house and moving a few things around, I pulled these candlesticks out and wanted to use them on the dining table. As I looked at them, they really looked a little dull. 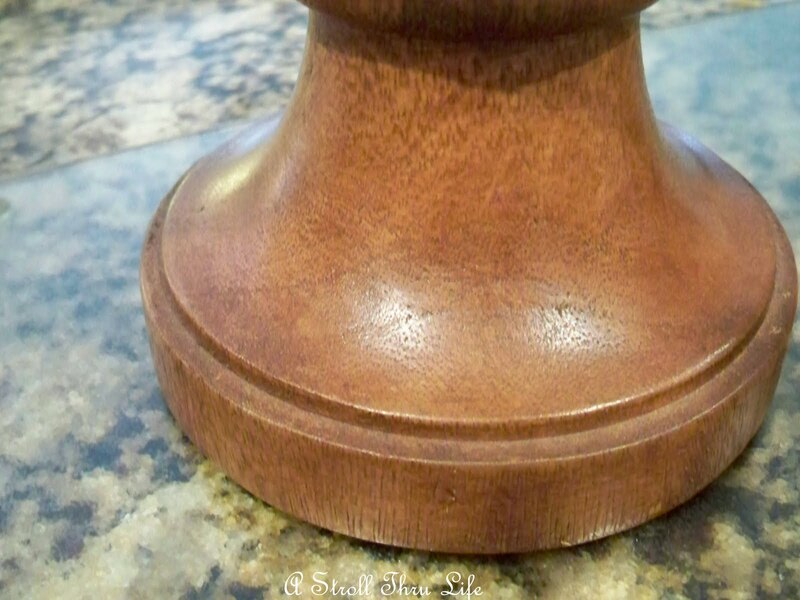 The base shows how dry the wood is and most of the lustre is gone from them. I thought they needed more than just a little polish, so out came one of my favorite things. 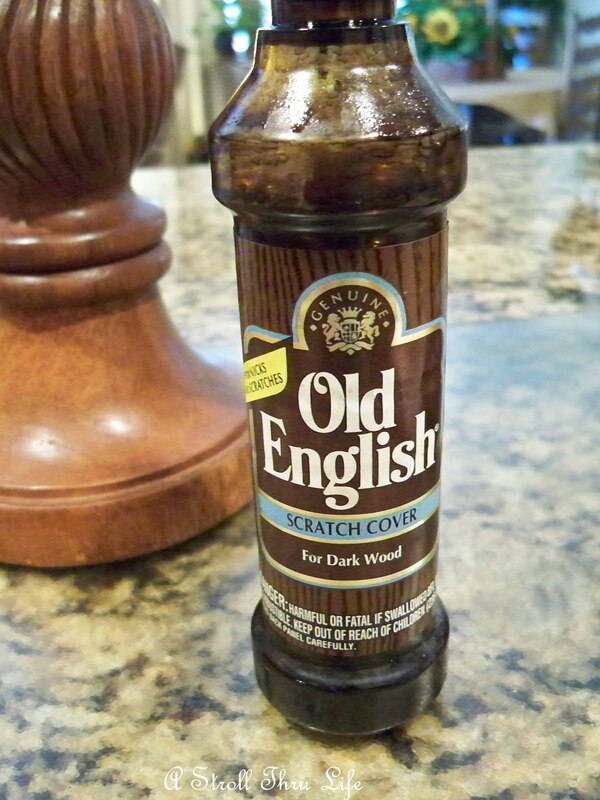 Old English scratch cover oil. 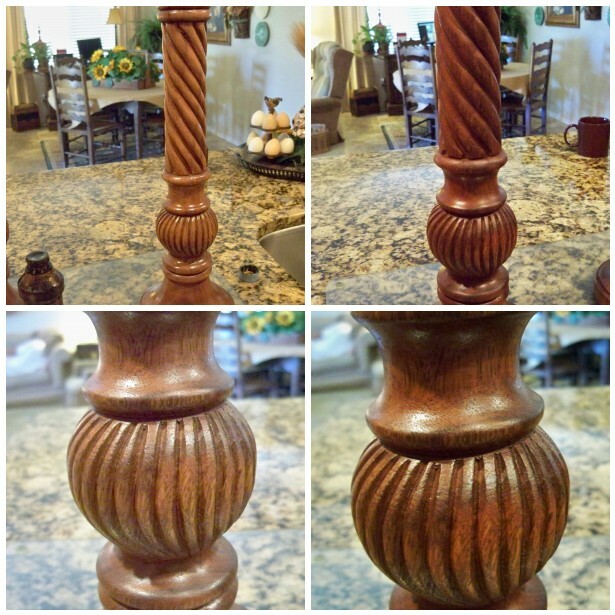 A little on a soft cloth, rubbed all over and into the wood really well, then buffed off makes such a difference to restore the color and lustre of anything. On the left is the before and on the right the after. Big difference. The color and grain of the wood is so much more enhanced. Love this stuff. 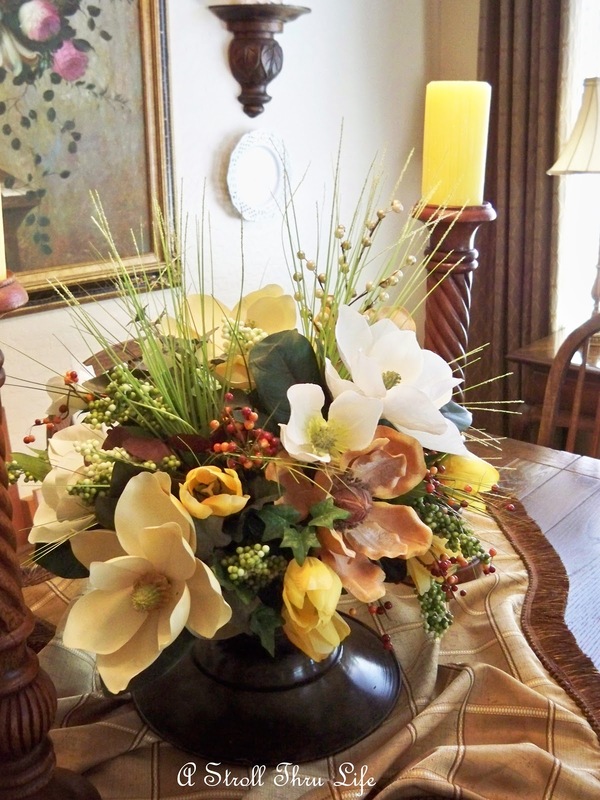 A mix of faux flowers of all kinds makes a happy arrangement. If you have something that needs a little attention, I highly recommend the Old English Oil. It comes in dark and natural. Either one is wonderful to feed your wood. Beautiful Marty! I love Old English too! It can heal a multitude of sins! The table looks great! Your candle holders look great! 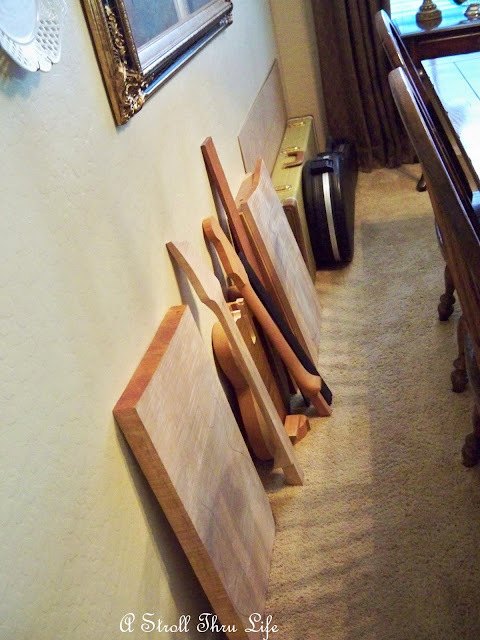 Old English has cured a lot of wood problems for me, but did learn one thing. Let it set/dry good before fabric touches it, as it will stain - bad ! I need to purchase some of this. Your candlesticks look brand new now! Great vignette. Your candleholders are lovely. Thanks for the tip. Wow, Marty, that really made a difference. Wow! I have never used Old English Scratch cover before. But, I will now. I am sold after seeing the difference in your candlesticks. Thanks for the tip! Have an old bottle of Old English. THink I need to get it out again and do my table legs, etc. It sure does make a difference. Have a great May Day weekend. I just love using Old English and use it on everything. Your candlesticks look great! Love old english..I have a rocker that was in my basement and we took it to 1515 and it looks new now after a dose of old english! Old English has been around a long time and I love the lemon scent. Those are gorgeous candlesticks. 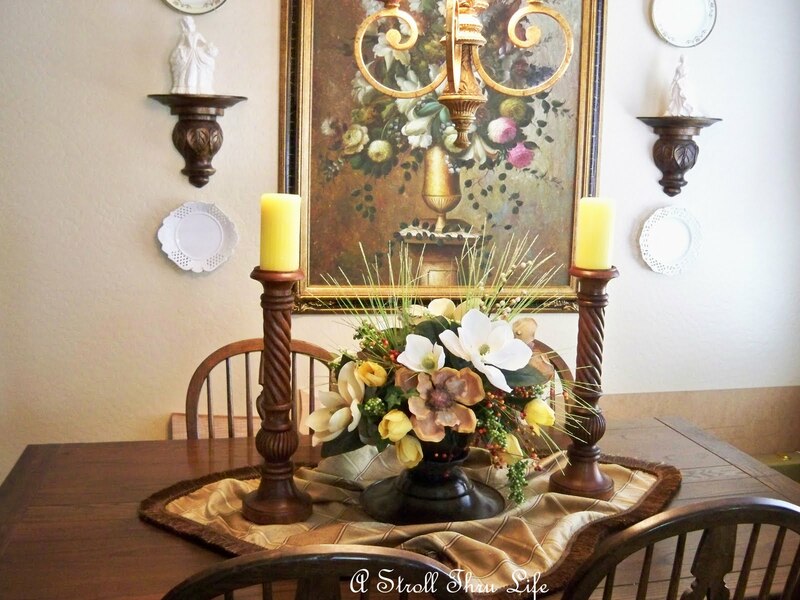 I love those candle sticks & that floral arrangement is gorgeous. I had forgotten about Old English! Thats exactly what I need for my dining room table, it has a few scratches! I am loving those candle sticks! Wow! What a difference! They look great now. I just did a candle holder post too! Marti those candlestick holders are really beautiful.. I cannot believe what a difference the old english made. Looks beautiful! That Old English is great! Leave the wood project, nobody can see it unless you point it out! LOL! I've been using Old English for a long time -- it's great -- love your centerpiece! And I would do as you did -- pu the "parts" against the wall! I've been using Old English for longer than I care to admit!! Love it. Your candlesticks are very pretty! And I'm sooo glad you shared your back wall of your dining room. Mine often looks similar ~ well, not with guitar fixings, but mirrors , etc. to list on eBay!! WOW Marty, I can't believe the difference. I think I have some Old English in the cabinet. I'll have to give it a try. Your candlesticks look great! What a difference, Marty! It really enhanced the wood. I have used Olde English on furniture that has had a scratch and it covers well. A bottle of that lasts a long time, too. Old English is great stuff for covering knicks and scratches!My favorite for feeding wood is The Natchez Solution. It is sold in nice furniture stores around here. I use it once a year on my furniture. 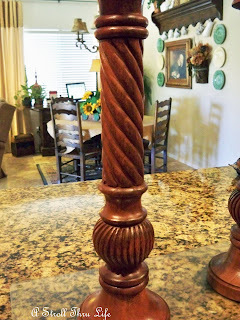 Love those candlesticks! I have used the old english for years! I love it!! Great post! I thought you were going to show how you spray painted them. lol I love the rich look of the wood. Old English is a staple in my cleaning closet. 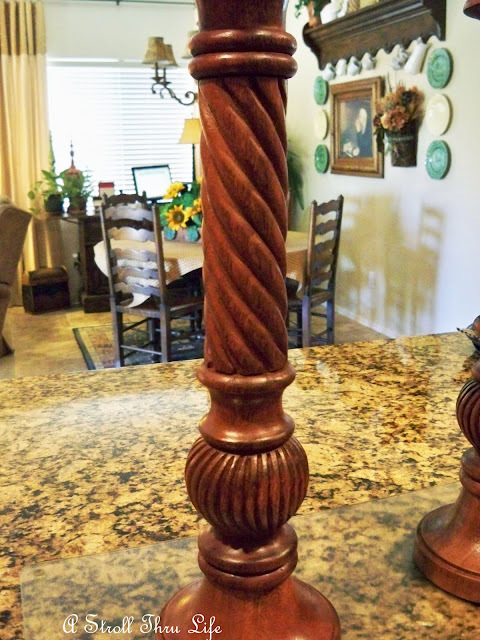 WOW!..that just brought those candlesticks back to life,I need to get some,and revive things around here. Thank you for being such a wonderful host for TT,and the highlights this week are fantastic! Hope you can visit LazyonLoblolly. I had brunch in the master bedroom. it makes things looks brand new again. I use it on my dark wood trim and baseboard every couple of years or so. Amazing!! Your candle sticks look wonderful!! HI Marty! Love the look....and what a difference. I'm sure if I just dusted it would make a difference....hahahahaha...the wood would look much better! HOpe you are doing very well! What a difference! I've used Old English polish, but I've never tried the stuff for scratches. I must remember to buy some the next time I'm in the store. Has anyone here tried Howard's Restore-a-finish? Beautiful candlesticks Marty, Old English has been in my cupboard for as long as I've been married. Looks awesome. I love Old English. Also, Bar Keepers friend is great on metal...I bought an old brass bamboo tray for $10 this morning at a rummage sale and it looks beautiful after a little "elbow grease." Darn! Should have taken a before photo like you did. Lovely table. I have and use old english too! I love it for my armoir and coffee table...By the way your candlesticks are AWESOME! i LOVE your table and the fact that it can become half its size; great stuff! Thanks for the tip on the Old English. i think I need to invest in some of this. Your candlesticks are so pretty! Love Old English, it really is great to keep on hand! Now I thought you might bring out the spray can as so many of us do. What a great idea instead to use some Old English. I have a very old (thirty years old) bottle of Old English and it's still going strong. the candlesticks look great...and the floral arrangement is lovely..very pretty diningroom!